Traveling for us always means family time. It is a moment in our busy, daily lives where we get to pause for a minute, experience new adventures, and make memories together as a family. It is only natural that when we decided to visit Munich, Germany, we chose a hotel that is as representative as “family” as can be. 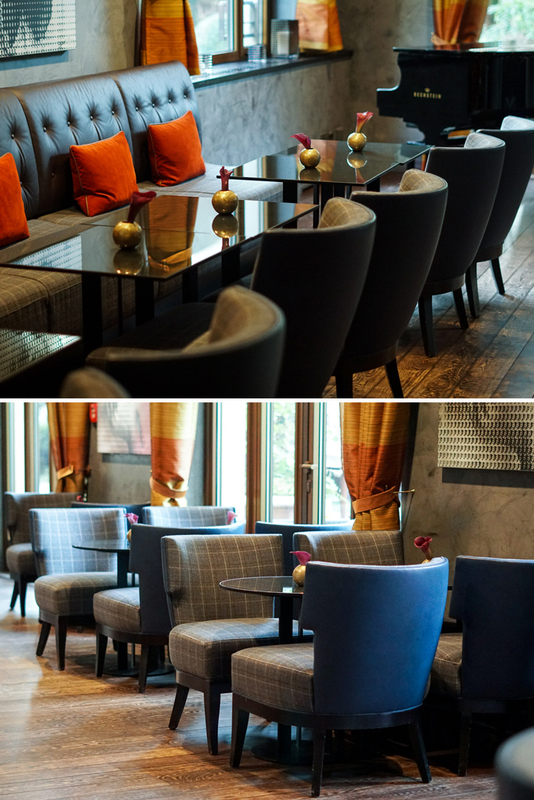 The Charles Hotel, the latest 5-star luxury hotel in Munich, is part of a hotel collection established by Sir Rocco Forte and his sister, Olga Polizzi, a family who has been in the hospitality for four generations. The Charles Hotel, opened in 2007, as part of the newly developed Munich quarter. Sir Rocco Forte dedicated The Charles Hotel to his father, famous hotelier Lord Charles Forte, who passed away shortly before the opening. 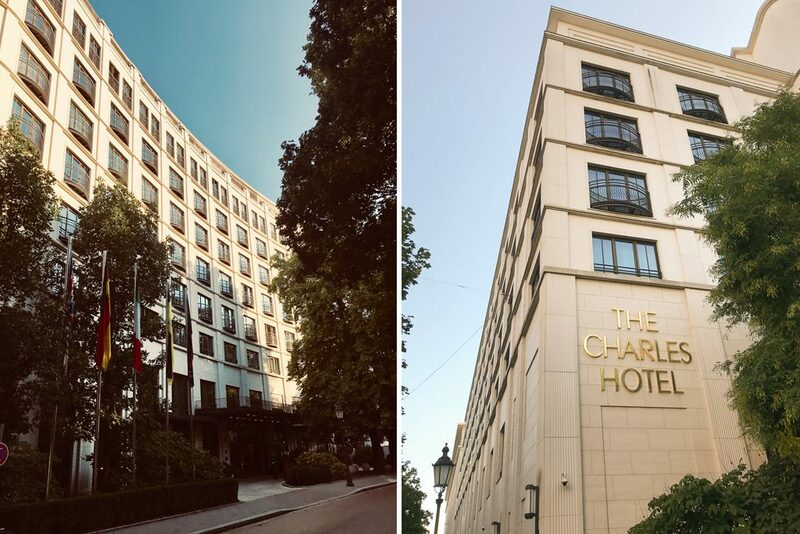 Surrounded by the Old Botanical Garden and lush landscaping, The Charles Hotel is truly a hidden gem located within the Karls- and Konigsplatz. 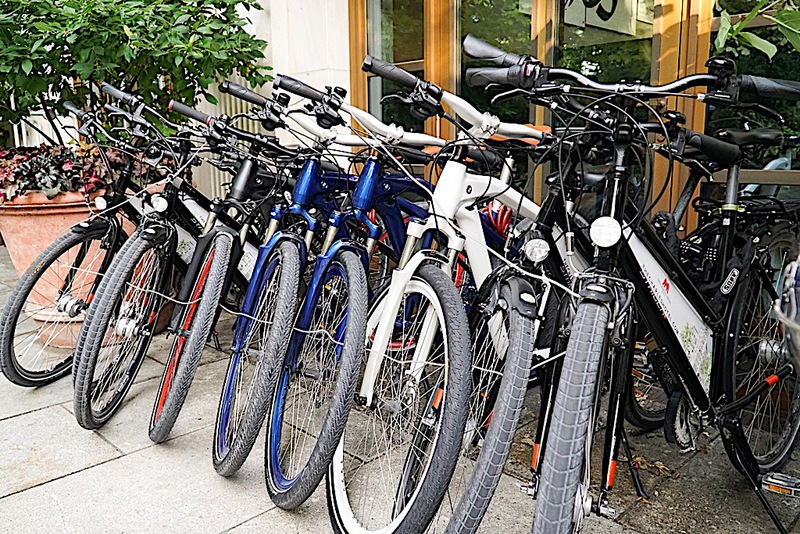 As soon as we arrived at the roundabout entrance, we were greeted with valets rushing to help us with our bags – a sign of the attentive hospitality we would receive during our stay. We waited in the beautiful lobby area with soaring ceilings and an intimate library while our rooms were getting ready. 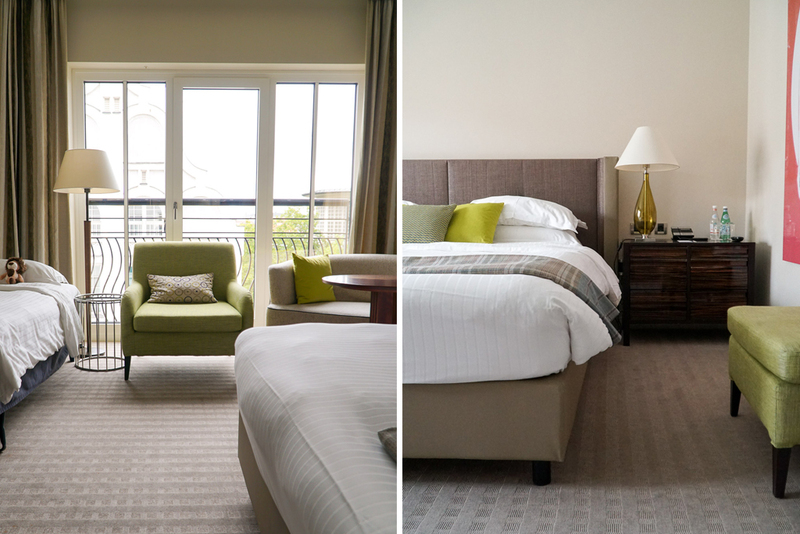 Despite our early arrival, our adjoining rooms were ready within few minutes. We were so grateful especially after a long 12 hour flight from the States. 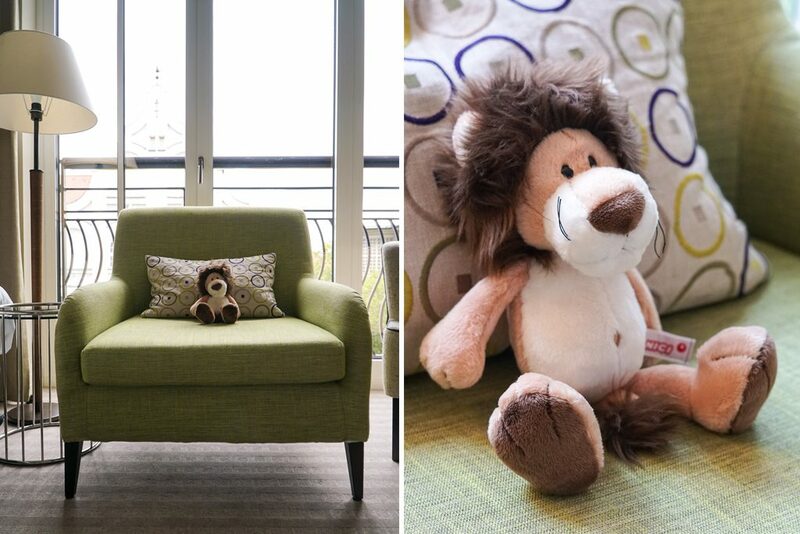 Immediately upon entering our Superior Deluxe suites, we were swept away by the natural light that filled the rooms. The elegant, modern, interior decor as well as the natural materials are representative of the traditional Bavarian origin as well as present day Munich. 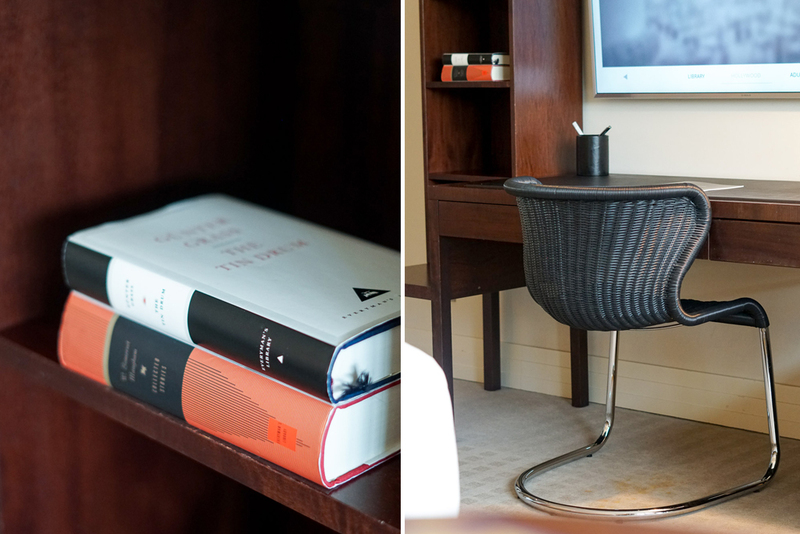 One detail that immediately caught my attention were the classic novels scattered throughout the rooms (similar to the ones I noticed in the lobby library). 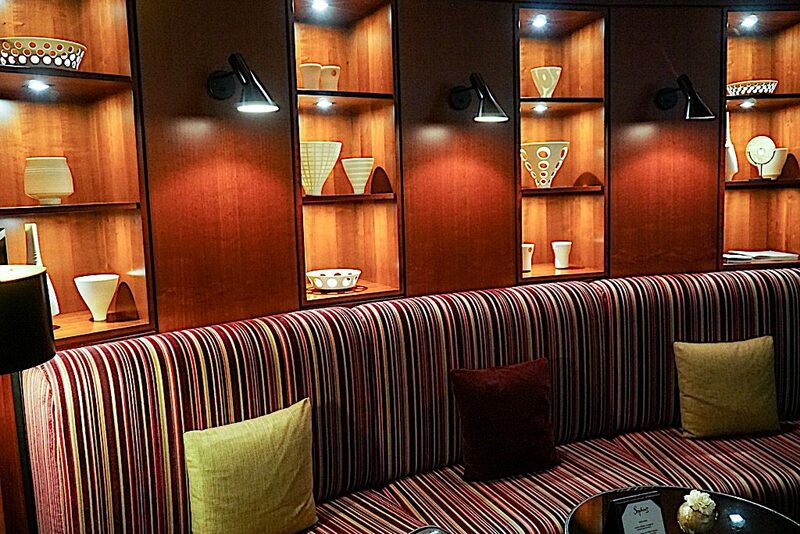 I found out that the exact location of the hotel was once a university library which was taken into consideration by Olga Polizzi when she incorporated the book theme into the design of the hotel. 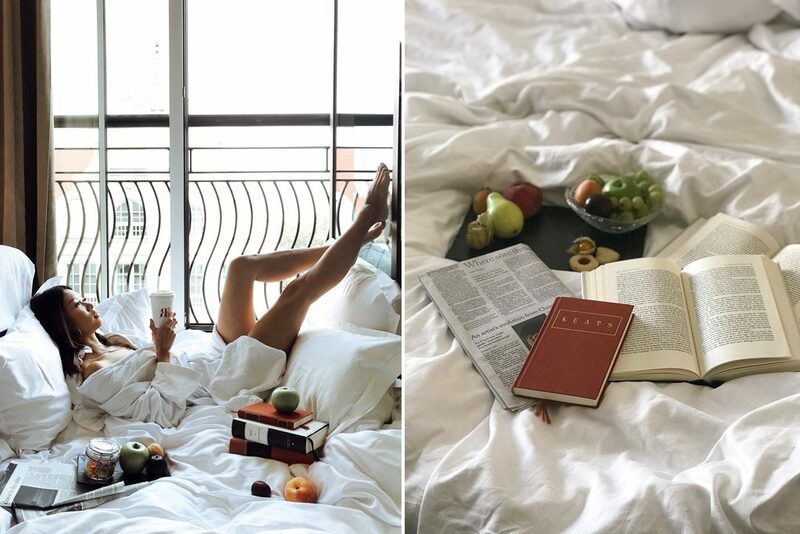 A fun fact I learned was that all the Rocco Forte hotels have the same books so that if you start reading a book in one hotel, you can finish it in another hotel (love this sentiment). 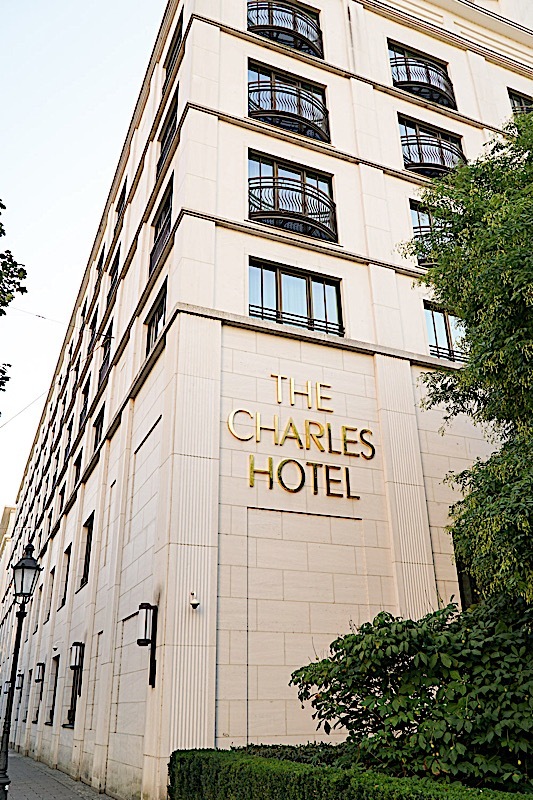 The Charles Hotel is a boutique hotel consisting of 160 rooms of which 24 are suites. 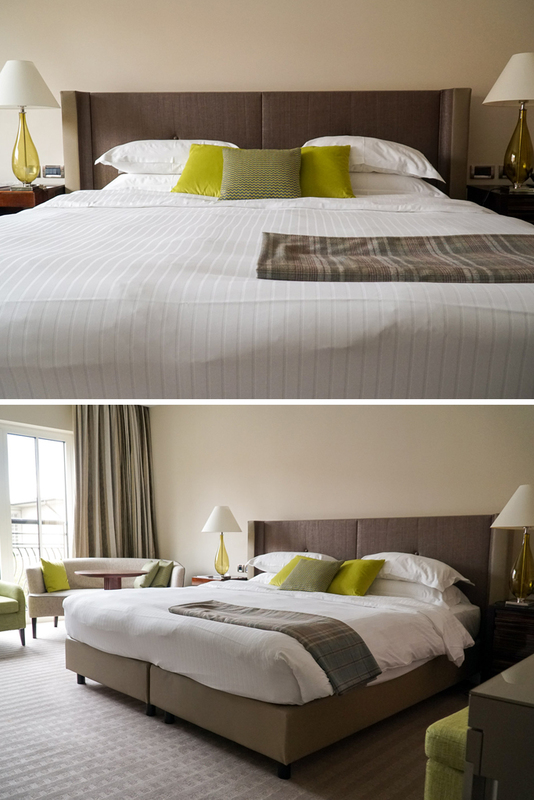 They are known to have the largest standard rooms in town with a minimum size of 40 square meters. We stayed in the adjoining Superior Deluxe suites and were surprised that the rooms were so spacious (which is usually not the case in Europe). The separate sitting area with settee, working area with desk, as well as a rollaway bed in one of the rooms was plenty comfortable especially for our family of five plus 11 pieces of luggage! The floor to ceiling windows and city views with French balcony provided for fresh air and natural light. The king-sized beds were so comfortable and the mattress firm and plush. Needless to say, we all fell asleep quickly and slept very well in these beds. 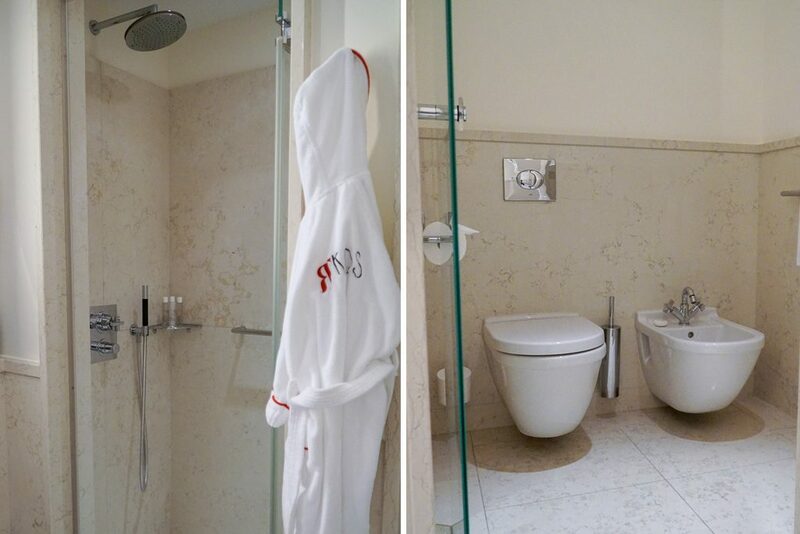 Another wonderful surprise was the extra large bathrooms in the suites – they were almost the size of another room! Beautiful marble counters as well as separate walk-in shower, bathtub, and toilet and bidet and still enough room to twirl around! It was amazing to have so much counter space in the bathroom to sprawl out my skincare products and cosmetics. The best part (and what I judge a hotel’s bathroom by) was the powerful water pressure in the shower that made for a great end to our days of sightseeing. Another major bonus was the powerful hair dryer. 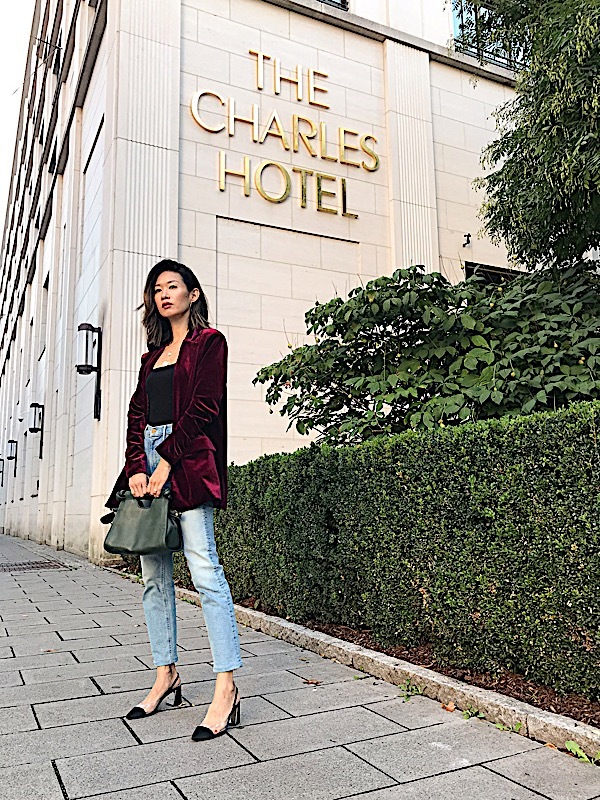 I’ve been to my fair share of hotels and typically the hair dryers in hotels are weak – that was not the case at The Charles Hotel. 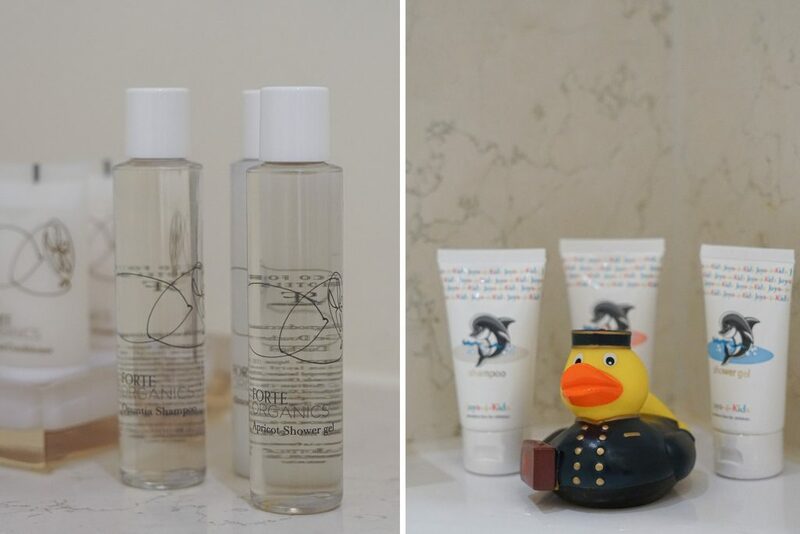 In addition to all these features, The Charles Hotel also includes organic hair care products! Our rooms included breakfast at Sophia’s Restaurant which I highly recommend. 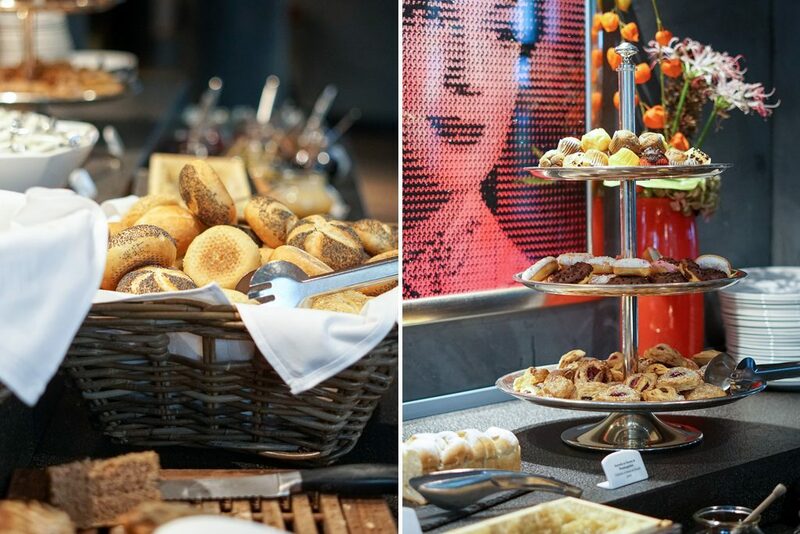 Sophia’s serves many purposes including a fabulous breakfast buffet, restaurant, bar and cozy lounge. 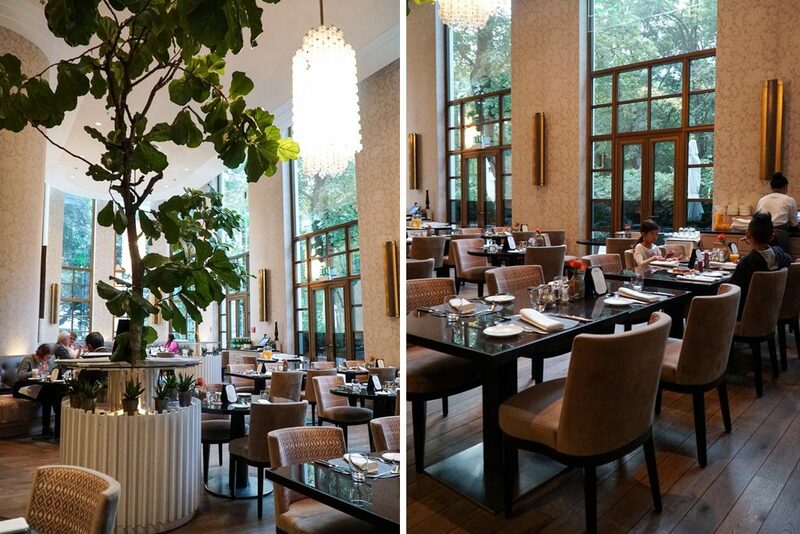 The interior of Sophia’s is breathtaking with natural light as well as trees representative of the botanical garden next door. Prints of famous people adorn the walls and if you look closely at the prints, you will see that the prints are made up of tiny images of their significant others! 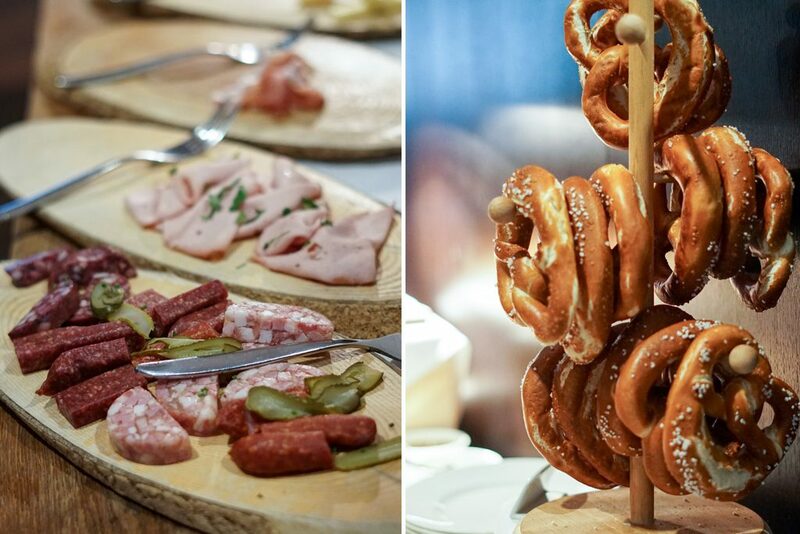 We definitely looked forward to our mornings at the buffet where we filled up on local Bavarian pretzels, charcuterie, scrambled eggs and sausages. 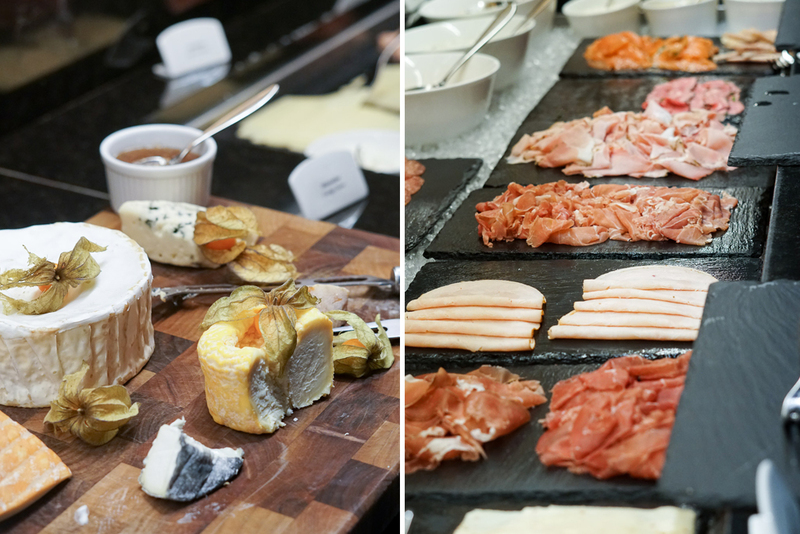 With it’s proximity to the Old Botanical Garden, fresh fruits, vegetable, and herbs were plentiful at the buffet, and I was impressed that you could make your own pressed juices as well! 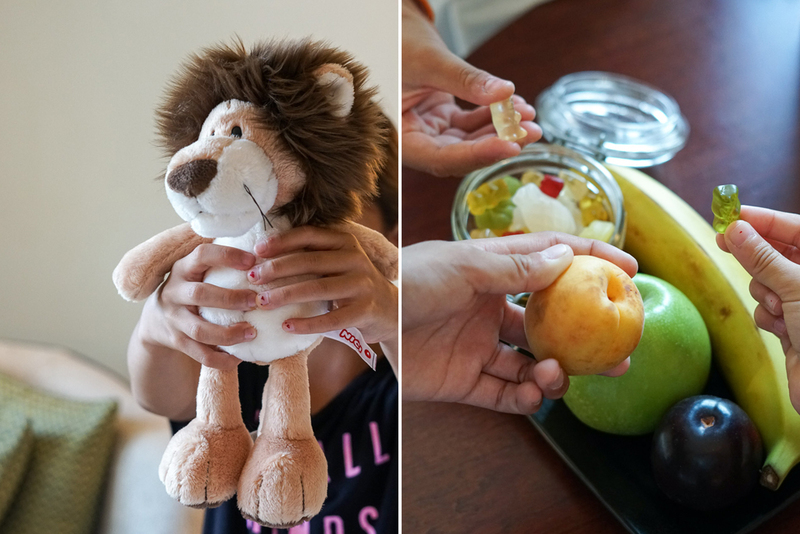 Getting a daily dose of fruits and vegetables while traveling is usually difficult, but the buffet at Sophia’s was similar to having all the conveniences of my kitchen at home! And after a long day, it was nice to relax at the hotel’s swimming pool. It is one of the largest indoor pools and was designed with exercise in mind. Another fun fact I learned is that Sir Rocco Forte is quite the athlete and wanted a pool that he could do laps in, hence the large indoor pool. 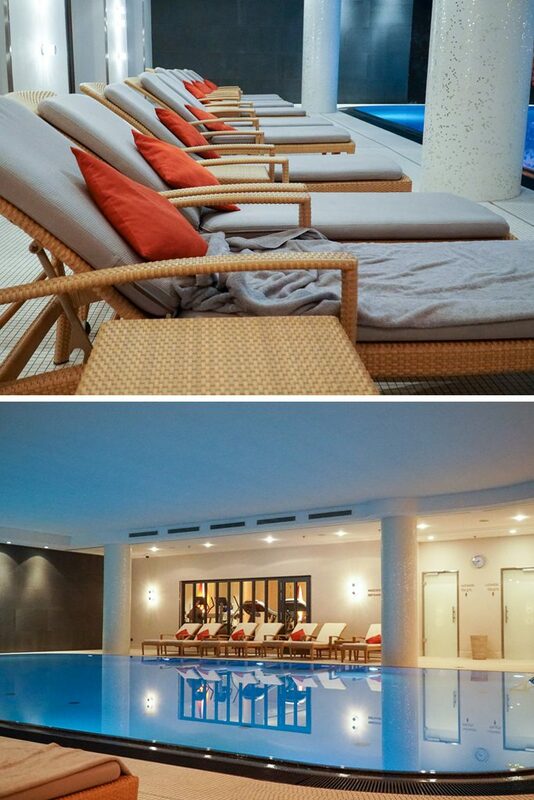 There are plenty of lounge chairs alongside the pool and even steam rooms to relax sore muscles after a long day. I emphatically recommend The Charles Hotel to anyone visiting Munich. It is centrally located and close to many museums, city parks, and subway stations (including the Main Station) were we took a day trip to Salzburg, Austria. 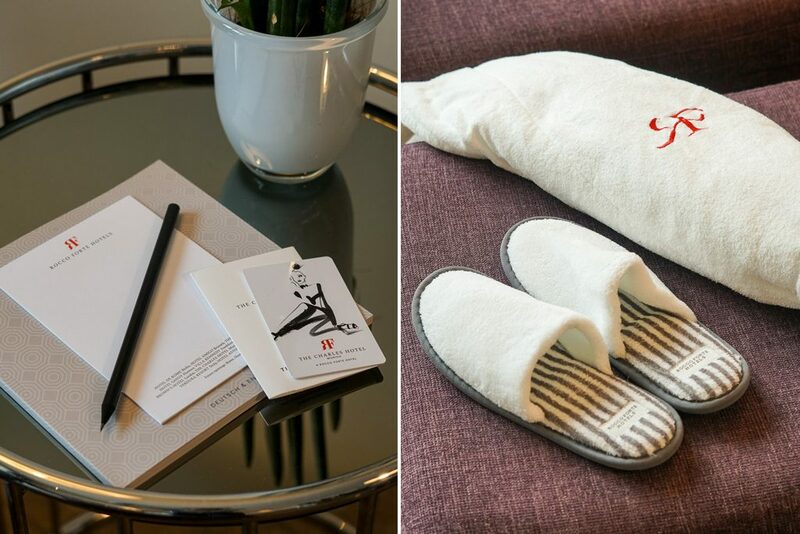 In addition to their larger rooms and location, it is the little touches that really made our stay at The Charles Hotel feel like home. From the family friendly staff that were extremely helpful (thanks to Tim and Anna at the Concierge desk for all your recommendations and detailed directions), to the darling stuffed lion with the coloring book, piggy bank and colored pencils for the little ones, free bikes to use during your stay, welcome treats upon arrival, free Wi-Fi, complimentary water bottles en-suite, and even the small fact that converter plugs were provided in each room, our stay at The Charles Hotel was luxurious yet also felt very much like home. 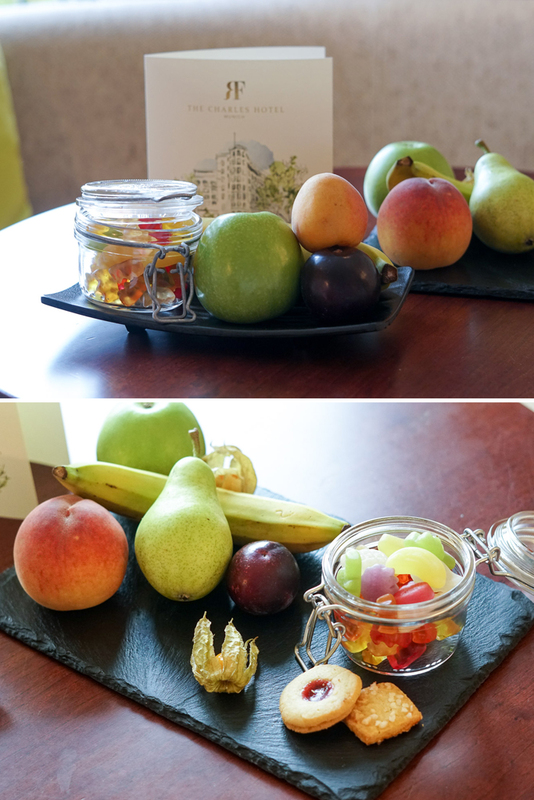 A huge vielen Dank to The Charles Hotel for welcoming us and making our stay so enjoyable! Wow, this looks like such an amazing stay! 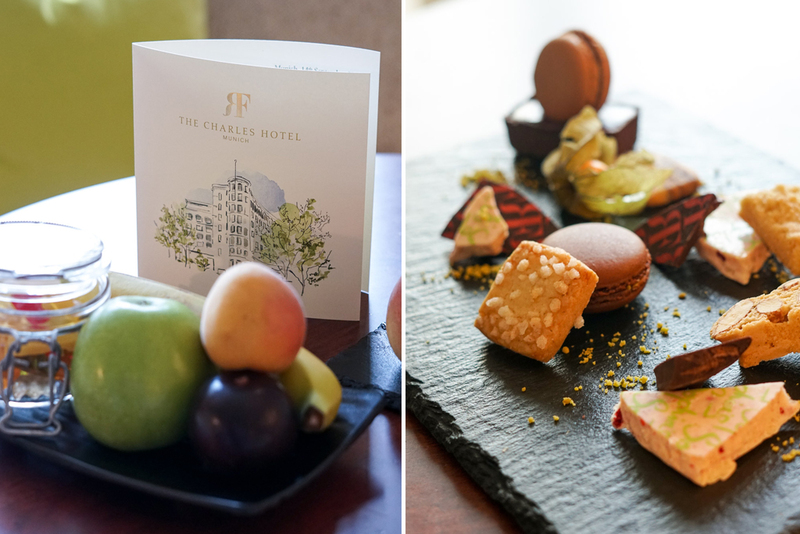 There are so many charming charcters of the beautiful Charles Hotel after reading your post. The natural light in each room, the spacious space, the high-end bathrobe, the large size bathroom, the intimate library, and the list goes on and on. This is totally my kind of hotel to stay. As someone who worked in the 5 star hotels for over 8 years, I am very picky in the smallest details at a luxury hotel. Thanks for sharing and this hotel is for sure I am list for our family’s next visit. Btw, you took such amazing pictures of the hotel. This is a beautiful hotel! I like all the details that they were with the treats and complimentary gifts. 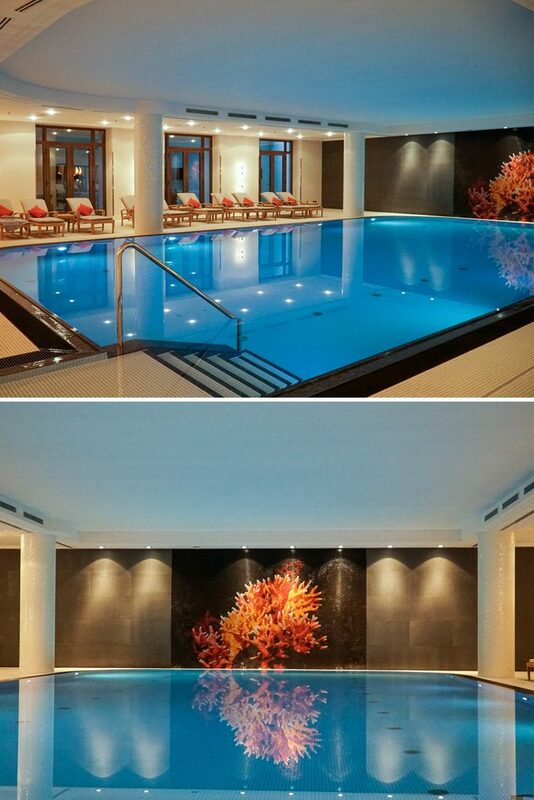 The indoor swimming pool is amazing. It seems like the have a yummy buffet. Thank you for sharing your experience at The Charles. Wowww this hotel is beautiful <3 🙂 I love how classy yet spacious it looks! 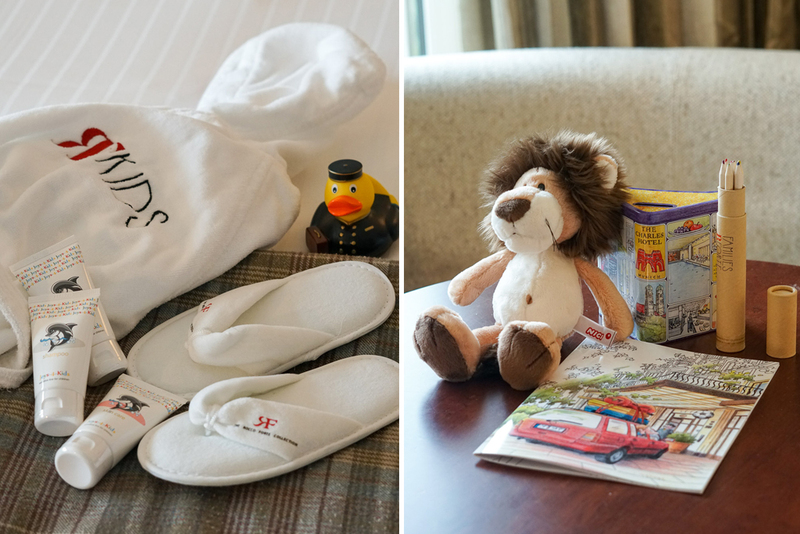 It's definitely the perfect hotel for the family! Hope you all had an amazing time, Christine! It’s great that you travel to Germany.I like this country so much! The Charles Hotel looks amazing! I’ve saved it for my next trip. The Charles Hotel looks totally up my alley. 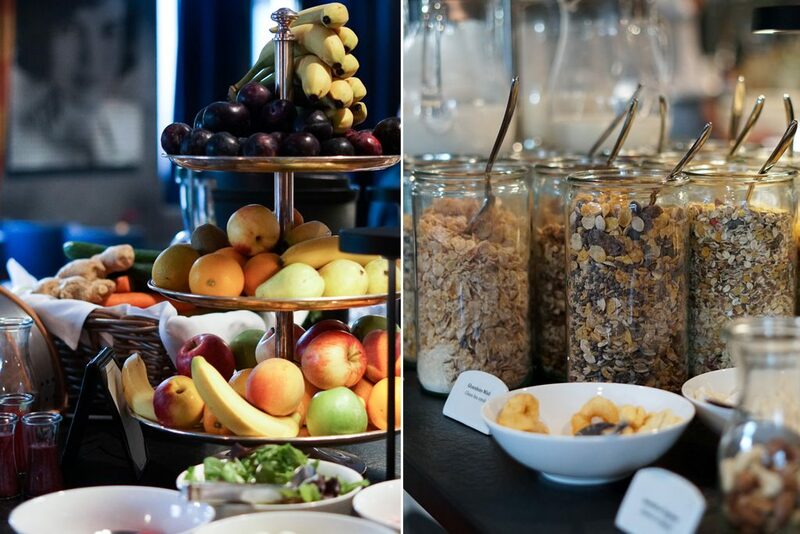 I love beautifully decorated hotels with an excellent breakfast buffet. We usually stay in suites since we have two teenage kids so the fact that they have lots of suites is a huge plus. 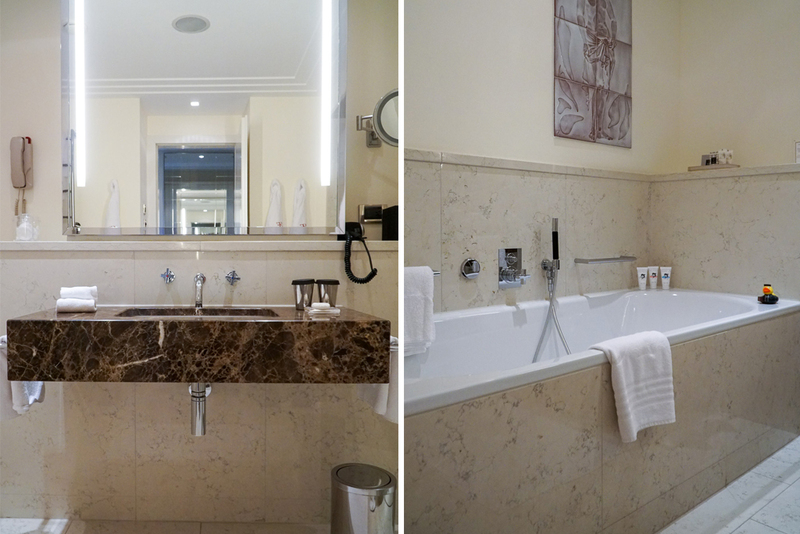 I love a good bathroom and for me, good water pressure and good toiletries are a huge bonus. Thanks for sharing your beautiful travels and this wonderful hotel! I hope you enjoyed your family vacay at the Charles Hotel! I love reading your hotel reviews because it’s like reading through a magazine! Such beautiful interiors. Thank you for sharing all these photos! What a lovely hotel. Love the combination of rustic and modern design. Spacious rooms, and their bathroom is so lovely. I have been following your stories when you were at this hotel. 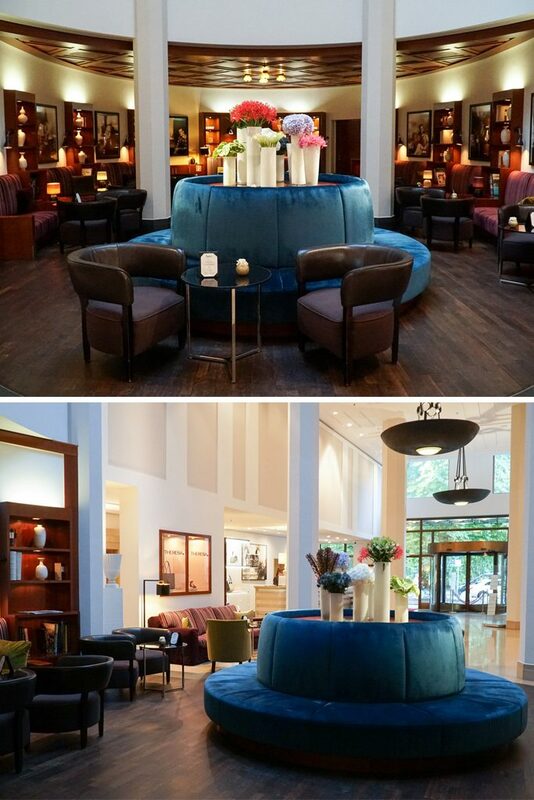 My sisters live in Munich, so I want to check this fabulous hotel next time I visit them. Love the spacious room and the elegant decor. Breakfast is my favourite meal of the day, so I always love hotels when they include breakfast. Lovely review and beautiful photos, love your stripe dress too! Hope you enjoyed Munich with your family! What a fabulous hotel.You look so amazing in that first casual outfit, totally feeling the velvet.I really love the pictures and decor. Very cool modern hotel. 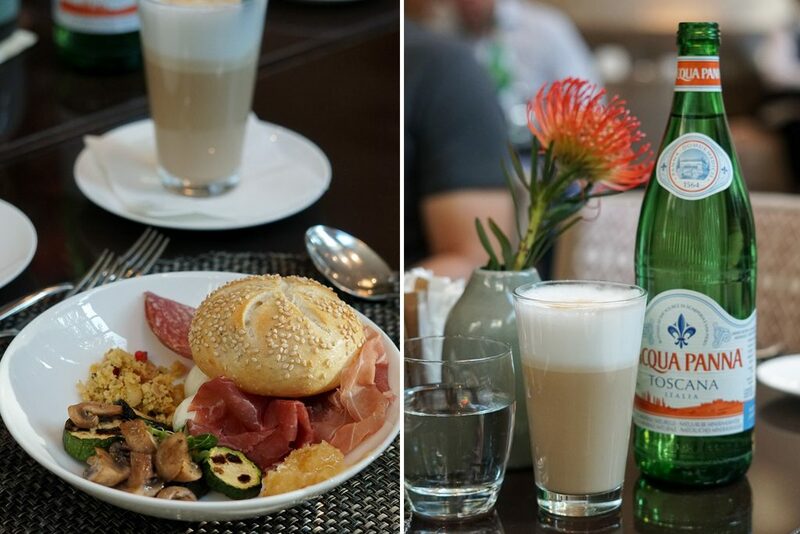 I really like the decor, the indoor pool is a great idea, and I love how they catered to the kids and left a surprise for them as well, the food looks so delicious, I will have to add this to my list of places to visit, thanks for sharing! Awesome hotel and your pictures are incredible. Spacious and luminous. Great services. Love how you choiced your styles and feed .